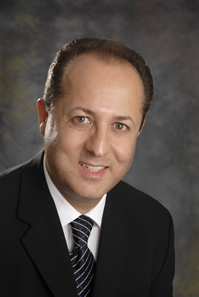 Board-certified surgeon Ramin Rak, M.D., F.A.A.N.S., F.A.C.S, is an expert with vast experience in micro-neurosurgical techniques. He uses his expertise in these techniques to perform complex and spine surgeries and has even published several dozen articles and book chapters in neurosurgical journals and book atlases. Dr. Ramin Rak is able to perform a number of complex neurological and spine surgeries but he specializes in complex spine treatments, tumors, skull-based surgeries, and awake craniotomies. In fact he has even used his expertise to establish awake craniotomy programs at numerous Long Island hospitals. Dr. Ramin Rak began his medical studies in Belgium, by earning undergraduate degree with high honors in Medical Basic Sciences, and then his medical degree from the Free University of Brussels. He then gained hands-on training in Washington, DC, completing an externship and then an internship in the Washington Hospital Center’s Department of Surgery. Next, he served as a clinical Neurosurgery Fellow in Bethesda, Maryland, then a Neurosurgery Resident at George Washington University’s Department of Neurosurgery. Following these stints, Dr. Ramin Rak became a Skull-Based Micro-Neurosurgery Fellow at North Shore-LIJ, then a Chief Neurosurgery Resident in the Department of Neurosurgery at the University of New Mexico, Albuquerque. Like all medical professionals, he is always looking to stay informed on the latest breakthroughs in micro-neurosurgical techniques. For this reason, he maintains membership in the American Association of Neurological Surgeons, and also the Congress of Neurological Surgeons. He is also willing to share his expertise with other medical professionals, by presenting at close to 20 different professional meetings on topics related to neurosurgery. This expertise is made available to his patients at his Neurological Surgery, P.C. office in Rockville Centre, New York.